If you are ready for a career as an entry-level Information Technology (IT) professional or computer service technician, CompTIA A+ certification is your first step towards a fulfilling IT career in cloud computing, networking, mobility, security or systems administration. You want the satisfaction and rewards of a bright professional future. CompTIA A+ certification will help you reach new heights by validating essential IT professional skills. Leaving school with a diploma and a respected industry certification is the best way to demonstrate your value and stand out from the competition. A+ certified professionals earn 35% more than their non-certified counterparts. Proven skills make you a more valuable asset to employers and organizations. Labor estimates predict some technology fields will experience growth of over 20% by the year 2020. Your future of fulfilling IT job opportunities starts with A+ certification. 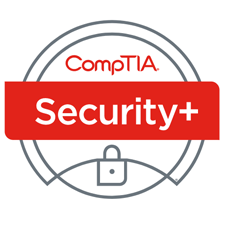 CompTIA A+ is a vendor-neutral certification that covers an extensive variety of software and hardware systems, including Windows, iOS, Android and Linux. Earning your A+ certification gives you an internationally recognized credential. Leading companies around the world are hiring A+ certified professionals like you. Operating Systems: Working with mobile, server and traditional operating systems, from Android and iOS to Windows and Linux. IT Operations: Utilizing the basics of virtualization, cloud computing, and desktop imaging and deployment to support today’s IT infrastructures. Technical Support: Applying principles of customer service in IT issue resolution. 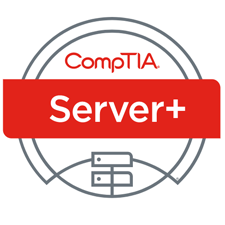 In order to receive CompTIA A+ certification, a candidate must pass two exams. The first exam is CompTIA A+ 220-901 and the second is CompTIA A+ 220-902. These examinations measure necessary competencies for an entry-level IT professional with the equivalent knowledge of at least 12 months of hands-on experience in the lab or field. This examination blueprint includes domain weighting, test objectives, and example content. Example topics and concepts are included to clarify the test objectives and should not be construed as a comprehensive listing of all the content of this examination. Candidates are encouraged to use this document to guide their studies. The table below lists the domains measured by this examination and the extent to which they are represented. The CompTIA A+ 220-901 exam is based on these objectives. The table below lists the domains measured by this examination and the extent to which they are represented. The CompTIA A+ 220-902 certification exam is based on these objectives.